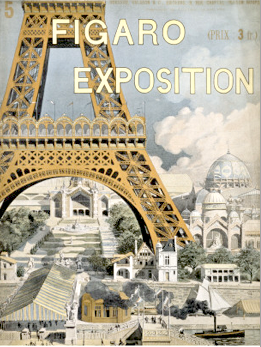 A special English language edition of Figaro devoted to the Exposition Universelle held in Paris in 1889. Probably the best survey in English of this particular World’s Fair. Contains a series of articles by various authors, including Emile Blavet, Georges Grison and Philippe Gille on the architecture of the exhibition and the work exhibited.